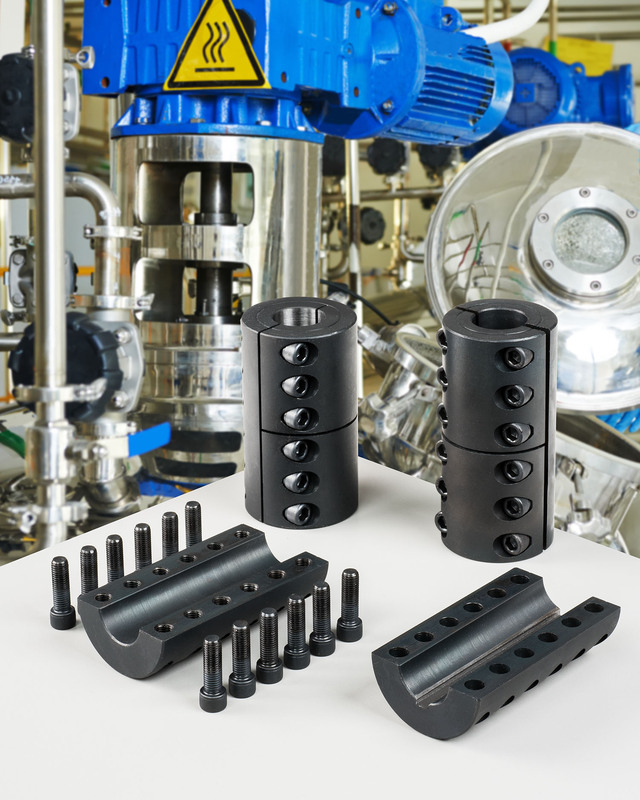 A line of heavy duty rigid shaft couplings that feature robust construction to carry heavy torque loads in large equipment and process systems is being introduced by Stafford Manufacturing Corp. of Wilmington, Massachusetts. Stafford Heavy Duty Rigid Couplings feature a larger body-to-bore ratio than conventional couplings and utilize larger clamping screws to provide extra holding power. Designed for use in heavy duty mixers and machinery, they are available off-the-shelf in one-, two-, and three-piece styles with straight-through bores or stepped bores for joining different size shafts. Offered in sizes from 3/4” to 6” I.D., made from steel and stainless steel, Stafford Heavy Duty Rigid Couplings are available with or without keyways. They can be manufactured from several other alloys and modified to customer specification. Typical applications include mixers, feeders, and conveyors in the off-road, pulp & paper, and recycling equipment industries. Stafford Heavy Duty Rigid Couplings are priced according to material, size, style, and quantity. Price quotations are available upon request.